Some messes can’t be vacuumed out of a carpet no matter how hard you try. If your flooring or carpet is up against mold, stains, pet odor or any unidentified sticky mess, it’s time to call in reinforcements – a high-powered steam cleaner. These home cleaning devices go all-in on scrubbing away at your carpet, leaving it clean, fresh and new. As one of the most versatile and effective home cleaning devices, there’s a multitude of benefits to owning a quality steam cleaner. It doesn’t matter if you vacuum every day – some odors and stains can’t be removed with simple suctioning power. If dirt, debris or other gross substances are permitted to remain on your carpet or hard flooring, they’ll seriously shorten its lifespan. Replacing a room alone of quality carpet can cost an arm and a leg, re-carpeting an entire house is a homeowner’s nightmare. By steam cleaning your flooring regularly, you don’t restore it to a like-new condition – you also save yourself money and extend its usage. If you have young children or furry friends, you’re probably no stranger to tough odors. Scents like animal urine are infamous for clinging to carpet fibers and flooring, giving your whole home the head-splitting stench of a toilet. You can vacuum and clean as much as you like, but the only way to get this smell out of your home is to replace your carpet or give it a deep, thorough steam cleaning. At any given moment, your house or apartment is teeming with unwanted guests. Allergens like dust mites, pet dander, pollen and other gross particles settle deep into the fibers of your carpet and resist the cleaning efforts of vacuums. Steam cleaning your carpet regularly can help reduce these allergens, which will improve your family’s allergy symptoms and leave you with healthier, heartier immune systems. If you’re dealing with an insect infestation such as fleas, bed bugs or anything in between, then steam cleaning is a virtual necessity. These tiny, disgusting creatures can easily escape the suctioning power of a standard vacuum. It takes a steam cleaner’s hot water and aggressive brush system to combat any type of pest problem. Steam cleaners use pressurized, hot water naturally clean flooring, upholstery and other surfaces, often without resulting to the use of harsh or dangerous chemicals. They’re ideal for scrubbing up tough messes that vacuums leave behind. For example, they’re the best method for eliminating odor in your carpet, fabric or flooring. Stenches like animal urine will cling to surfaces, but steam cleaners use their heating elements to lift unwanted smells gently. They’re also effective in stomping out the mold and any stains caused by it. Due to high temperatures, they work to kill any unwanted fungus, mites or bacteria that might be hiding out in your carpet, flooring or fabrics. As a home cleaning device, one of the best aspects of the steam cleaner is the sheer amount of surfaces on which it can be used. While it’s true that some models will be more powerful on certain surfaces (for example, a steaming mop will be less effective at scrubbing stains out of the high-pile carpet), they are otherwise incredibly versatile. Steam cleaners are a popular choice for most types of hard flooring, such as wooden floors, tile and linoleum. The few exceptions of hard surfaces that are not compatible with it include thin plastic, unfinished wood and granite. When it comes to carpet, they’re the best way to lift dirt and grime, eliminate allergens and scrub out odorous smells such as urine. Both high-pile and low-pile carpets and rugs will benefit from this type of cleaning. Of course, your steam cleaner’s usability isn’t limited to flooring. It’s also commonly used on upholstery and pillows, working to clean and refresh home-use objects many would otherwise neglect to clean. These products can be used on most cloth materials and even leather, as long as the fabric can stand up to the device’s heat temperatures. The only fabric’s that should never be cleaned with a steamer include those who react adversely to high temperatures, such as silk. In short, there’s almost no limit to the ways you can use a steam cleaner. They can also be used to sanitize bathroom tile, clean kitchen counters and brighten and polish your home’s windows. Not all steam cleaners are created equal. They come in all shapes and sizes. Some look and function more like vacuums, while others have a more traditional mop-like design. Which one best suits your home cleaning needs will come down to your priorities and the types of surfaces you have in your living space. Handheld devices are smaller appliances. While they aren’t ideal for cleaning large areas such as floors, they work well for spot cleaning on carpeting or tiles and they’re extremely useful for sanitizing other smaller areas. Handhelds are especially useful for kitchen countertops, windows, bathroom tiles and other tight spots. If you’re after a steam cleaner that’s large enough to cover large floor areas but can transform for smaller-scale cleaning as well, you may look into a 2-in-one device. These may be used either as a traditional steam mop or as a handheld tool. Much like upright vacuums, upright steam cleaners are compact units that have no additional canister. The reservoirs, head and all hoses are fastened on to the body of the appliance. Upright steam cleaners are most ideally used on carpets and hard floorings such as wood, plastic flooring and interlocking tiles. These models have the added advantage of being compact but are often heavier due to their condensed design. Upright designs will sometimes be dual-purpose and serve as both a vacuum and a steam cleaner in one straightforward device. If you find upright models to be too heavy or difficult to maneuver, you might consider looking at cylinder steam cleaners. Though cylinder models tend to weigh approximately as much as their upright competitors, their separated design allows for more even weight distribution, making them easier to handle. Most cylinder models also come on wheels, making them easier to move from one room to the next. The only downfall of cylinder units is that they often have a longer prep time than their competitors. Generally, it takes a cylinder unit a few minutes to warm up and prepare for cleaning. The advantage of this, however, is that they have longer run time and require fewer refills. If you plan on using your steam cleaner primarily for hard floors, you’ll want to consider purchasing a steam mop. While some are useful for the light cleaning of carpets and stain lifting, they’re generally inexpensive and favorite for floor types like wood, linoleum or tile. If you’re deciding between vinyl plank vs laminate for your kitchen flooring, the good news is that a steam mop should work perfectly with either. With so much variation on the market and so many potential uses for steam cleaners, there’s a lot to consider when you start shopping around. The height of your steam cleaner or mop will determine its overall reach. Taller devices will have a further reach, which will theoretically require less movement and effort on the user’s part. However, it can make it harder to maneuver for shorter individuals. Often, devices with shorter handles will navigate corners and small areas better than their taller competitors. The weight of a steam cleaner is a double-edged sword. Lighter machines are generally easier to move and use. They’re ideal for large areas and tight spaces that require a lot of repositioning and adjustment. Unfortunately, lightweight machines are usually that way because they carry less water in their reservoirs. This means they must be refined more frequently than their heavier competitors. When considering the weight of your new cleaner, you’ll probably need to decide if you prefer owning a lightweight machine that may require more refills and be slightly less powerful or a powerful yet heavy machine that can run for extended periods of time uninterrupted. A higher motor power means more cleaning capabilities. If you want a machine that’s going to penetrate deep and get the job done, you’ll want to look for a powerful one. A steam cleaner’s power is measured in wattage. Wattages will vary from one product to the next, but machines closer to 1,500W will likely be capable of tackling some of the hardest stains, like grease and ground-on dirt. An unfortunate byproduct of particularly powerful machines is that they create more noise. While decibel ratings aren’t always listed explicitly on the box, the device’s sound level is another commonly mentioned factor in steam cleaner reviews. All things considered, it should be noted that no steam cleaning device is going to be truly quiet while operating. If it is, it’s probably not doing its job. If the noise particularly bothers you after extended use, you might consider investing in a pair of earplugs. As with the best vacuum cleaners, one aspect that determines the quality of a steam cleaner are its suctioning abilities. Suctioning power is linked almost directly to the appliance’s motor power. Generally speaking, the stronger the motor, the stronger the suctioning power. After the heat of the steam loosens dirt, it’s time for the device to collect and remove it. This is done with the help of the appliance’s suctioning system. The better a unit’s suctioning system is, the more dirt and grime it can potentially remove. An excellent suctioning system also benefits users by removing a majority of the moisture, making for a quicker dry-time. Units with lesser suctioning powers will leave behind more moisture, leading to inconvenience especially for those with children or animals. If you’re looking for a traditional steam cleaner (rather than a steam mop) that’s either a canister model or an upright style, you’ll need to consider the appliance’s wheels. If you ever plan on using the cleaner on hard flooring (especially delicate flooring), you’ll want to make sure the wheels are made of soft rubber or some other gentle material that will not scuff or scratch your flooring. The wider the fixed head is on your steam cleaner, the faster you can clean a larger area. Large heads are ideal for users who want to cover a big, open area quickly. The downside of going with a larger head, however, is that they are more impractical for tight spaces. Large heads will struggle to maneuver around furniture and work themselves into the tighter areas of your home. Some users could care less about attachments and simply want a standard power washer for a single purpose. For others, having a machine that comes supplied with multiple attachments can make it a multi-faceted cleaning device that’s capable of tackling jobs of all kinds. A few optional attachments you may want to look out for when shopping around for a cleaner might include a floor mopping head, a carpet glider, larger brushes for power cleaning, a detail nozzle for smaller areas, detail brushes, power nozzles and window cleaning tools. 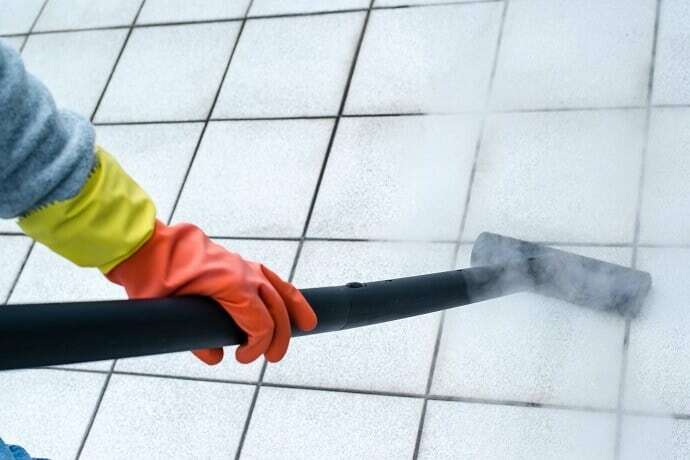 Heat is a key element of any steam cleaner’s effectiveness. If you want to stomp out stains and eliminate odor, you’ll want a machine that heats the steam enough to get the job done. In short, the more effective a heating element is, the hotter and more effective the product will be at removing dirt and stains. Ideally, you’ll want a machine that heats water quickly and keeps it that way longer. It’s not ideal, but it’s unavoidable – after you’ve steam cleaned an area, you must wait for it to dry before touching or walking on the surface. Those with children and animals especially may want to purchase a cleaner that has a quick drying rate. That way, life can get back to normal as soon as possible after the cleaning. A machine’s drying effectiveness is linked directly to two aspects of the steam cleaner – how much water it uses and what it’s suctioning power is like. The less water a machine uses, the less damp it may leave the surface. It should be noted, however, that machines which use less water may also be less effective. Optimal steam cleaners use generous amounts of water to clean a surface, but use their powerful suctioning systems to thoroughly remove any excess moisture afterward. This significantly increases the drying effectiveness and increases the drying time. The appliance reservoir (sometimes referred to as its “tank”) will determine how much water it can hold and use. Generally speaking, units with larger tanks will be capable of cleaning large areas without being changed. On the other hand, units with smaller reservoir sizes may be best suited for smaller areas or users who don’t mind frequent delays to refill the appliance with fresh, clean water. It’s essential also to remember that larger reservoir sizes may seem initially more appealing, but large amounts of water create added weight. Thus, buyers must choose between large reservoir sizes and more lightweight, maneuverable machines. If you’ve decided to go with a steaming mop, the machine’s pads will be a top priority. Most come equipped with microfiber cleaning pads that are absorbent and extremely versatile. They are highly durable and can generally be washed and reused many times. Alternatively, dusting pads are designed to pick up small crumbs and debris as they clean with steam, which can partially eliminate the need for a vacuum. Dusting pads are also excellent for hard to reach areas, crevices and corners. Scrubbing pads are the third option for steam mop pads. These are generally rougher in texture and are used to scrub hard stains and residue off of your home’s flooring. Often referred to on packaging as “beaters,” brushes are the bristled-fixtures some models have which aim for a deeper, more penetrating clean. These rotating brushes come in many forms: rotating cylinder bars, circular heads, interlocking spinners and just about everything in between. While they’re ideal for cleaning carpets, you should take care of using a steam cleaner with a brush on hard flooring, as hard bristles can sometimes cause scuffing or damage. It should be noted, first of all, that the vast majority of steam cleaning appliances are corded rather than wireless. 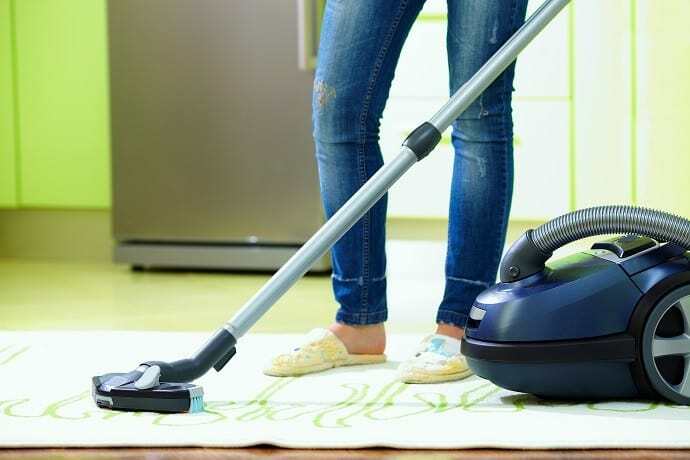 Because a steam cleaner takes a considerable amount to power (as opposed to lower-powered vacuums or other appliances) the corded models often work best. That being said, you’ll want to consider the power cord length of the model you choose. Especially if you have a large home, having to backtrack and unplug and replug your device is a hassle and a headache, more so if you’re trying to avoid stepping on your freshly cleaned, wet carpet. After the device’s overall cleaning ability, a steam cleaner’s usability is the next most essential trait. Elements that play into the appliance ease of use include how simple it is to refill. If they’re easy to push and move or difficult and heavy and whether attachments can be effortlessly swapped out should they need to be. There’s an astounding amount of variation when it comes to prices and quality of steam cleaners on today’s markets. Products generally range from as little as $30 for small, low-powered handheld units to over $500 for large, high-powered industrial units. If you’re working with a budget, the good news is there are plenty of mid-range options that’ll probably fit your budget. Sometimes, budget works just as well. For example, the best vacuum cleaner under $100 perform on par with their $200 competitors. Steam cleaners, in some senses, are similar. To a certain degree, a higher price really does mean higher quality. Users notice a big difference between the low-end models and the high-end units. When it comes to comparing mid-range steam cleaners with their higher-end competitors, there seems to be less of a discrepancy. Unless you require an ultra high-powered, industrial-level cleaner, you should be able to get a high-quality appliance at a mid-range price. While steam cleaners are home cleaning appliance that uses heated water and a suction system to loosen and remove grime, a traditional mop simply uses a hot bucket of water and some detergent. Both methods rely on heat and water to lift stains and dirt, but their end results are vastly different. The advantages of mopping are that mops are affordable, widespread and quick to use. They are perfect for cleaning up a spill or tackling other wet messes. Their downfall is a less thorough job and reduced flexibility. While a steam cleaner can be used on a wide range of surfaces, traditional mops are reserved for hard flooring. Steam cleaners also have the added bonus of heating components that use much hotter water than what a traditional mop can maintain. This helps to eliminate invisible bacteria and germs in a way that’s not possible for the standard mop. Though they both use suctioning capabilities to clean floors and upholstery, steam cleaners and vacuums are quite different. For the most part, vacuum cleaners only serve to remove dry particles, dust, hair, pollen and animal dander. They are less effective in removing odor and hard stains. Steam cleaners are able to lift the hard stains and odor that vacuums leave behind, but they are not intended to pick up larger dry particles or animal hair. The truth is that steam cleaners and vacuums should be used in conjunction with one another. You should never steam clean before first vacuuming thoroughly. If you’re after a home cleaning device that does double duty, you may consider investing in a premium model that vacuums as you go. There’s really no comparing brooms and steam cleaners. Brooms are rudimentary and simplistic cleaning tools. They’re ideal for those needing to clear large crumbs from a hard surface or dust off the backyard patio, but not much else. In fact, relying on a broom to clean an area often does more to kick up and spread dust and allergens rather than gather and dispose of them. 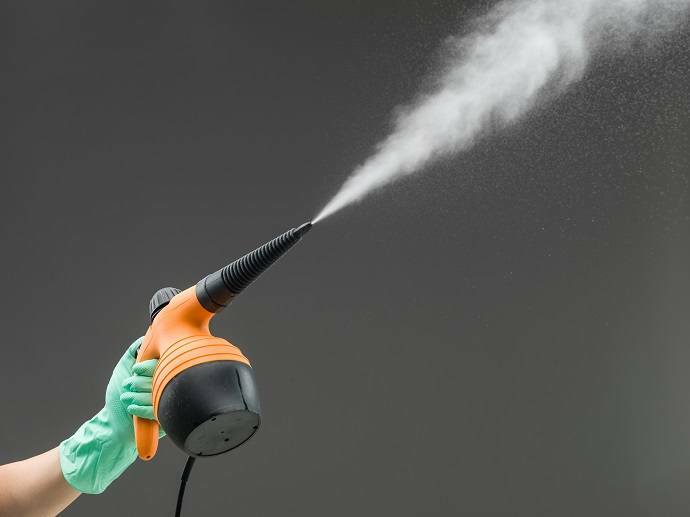 On the other hand, steam cleaners use heat and a power washing system to remove mud, pollen, pet dander and other germs that otherwise thrive in your home. Unlike brooms, they can be used on carpet as well as hard flooring and are also useful in cleaning counters, windows, bathroom tiling and a whole other host of surfaces. Before breaking out your steam cleaner, you’ll want to first remove all dirt, debris and pet hair from the surface using a vacuum or other similar device. Next, you’ll want to fill your appliance’s reservoirs with clean, distilled water and let it begin heating. If your steam cleaner is intended for use with an antibacterial cleaning solution or the best carpet stain remover, you’ll want to introduce that solvent as the reservoirs fill. If your device has different heads and fixtures, select the correct one for the job you’re about to perform. When the device has heated, begin steam cleaning, passing the appliance over the targeted area. Remember to execute steady, repetitive passes. Never allow the steam cleaner to linger too long in one spot, as this will burn and damage the surface. Generally, it’ll take as many as three passes over an area to get it clean. As you clean, stay aware of your device’s water levels and change the water when necessary with fresh distilled water rather than that of the tap. When you’ve finished your cleaning session, stay mindful of drying time. Keep off the floor or surface entirely until it’s completely free of moisture. Purchase a certified steam cleaner rather than a dangerous knock-off. Use distilled water rather than hard water from the faucet when you’re refilling your appliance’s water tank. Reserve the use of your steam cleaner to areas and surfaces you believe are sturdy and capable of handling the hot temperatures. Clean your steam cleaner’s brushes and padding before and after use to ensure maximum functionality. Wear footwear when the machine is in use. Use a steam cleaner to extensively clean wooden surfaces, especially unfinished wood surfaces. Allow your device to come in contact with paper or flimsy wood surfaces. Abruptly drop your cleaner or allow it to fall. Use your machine on clean painted walls, marble surfaces or brick walls. Subject materials like thin plastic or delicate silk to a steam cleaner as the heat will damage and ruin them. Use your steam mop as a vacuum. Let a steam cleaner idle as it’ll burn the flooring. If you’ve spent the money to purchase a quality steam cleaner, chances are you want it to last a very long time. Thankfully, cleaning and maintenance of steam cleaning devices are relatively straightforward. If your appliance has a pad or other similar feature, you’ll want to remove it and clean it after each use. When the pad wears out, replace it with a new one. Washing your steam cleaner’s padding regularly will keep it usable for longer and also keep dirt from spreading in your home next time you put it to use. It’s always recommended to use distilled water in your steam cleaner. However, if you’ve used tap water, you’ll need to descale it on a monthly or bi-monthly basis to keep it in working order. To do so, you’ll either want to buy a commercial descaling liquid or use white vinegar. In either case, you’ll need to mix the solution with water in the tank, place the cap on, plug the machine on and allow the water to warm up for around 2 hours continuously. Afterward, unplug the device, allow it to cool and empty it. Because steam cleaners can vary so much from one model to the next, be sure to consult your product’s user manual for full instructions on its cleaning and maintenance procedures. 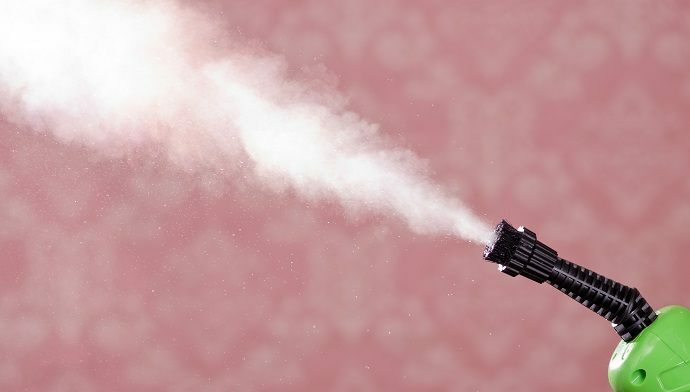 Will a steam cleaner eliminate mites? Dust mites are incredibly pesky. While it can be difficult to rid your home of them entirely, a steam cleaner is one of the best and most efficient ways to kill them off quickly. To do so, regularly clean any fabric in your home. Items such as mattresses, pillows and upholstery should be specially targeted as well as carpets. Does a steam cleaner eliminate mold? The heating units on steam cleaners are the perfect way to kill mold. Some types of fungus are difficult to combat because they have microscopic particles that sink deep into crevices and pores. The deep-penetrating powers of this device are the best way to wipe out unwanted mold from tight spots. Will a steam cleaner eliminate the odor of pet urine? When used with compatible products, a steam cleaner is by far your best bet at eliminating the lingering smell of stale pet urine. You’ll need to make sure to purchase a cleaning detergent that is compatible with your device and formulated specifically for wiping out the odor. Can a steam cleaner damage the carpet? 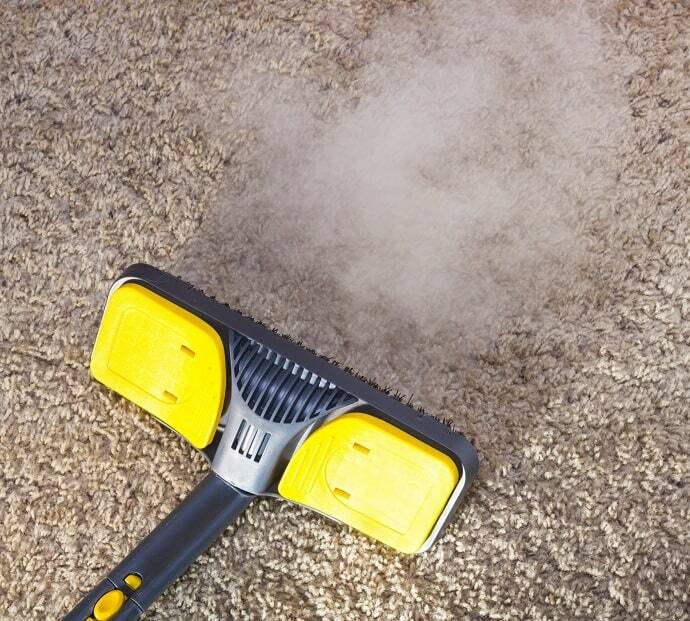 When used correctly, a steam cleaner will not damage the carpet. If permitted to linger in one spot, it may cause burning. However, simply following the appliance’s directions on use will prevent this entirely. Always consult your product’s user manual concerning what surfaces are compatible with it. In most cases, a steam cleaning device will be compatible with carpet, rugs, counter tops, tile, linoleum, bathroom surfaces, windows and most fabrics. Some of the few surfaces which aren’t advised to be cleaned with steam methods include silk, thin plastic, unfinished wood. Can you use a steam cleaner to clean a bathroom? These cleaners are excellent for use in the bathroom. They are great for tiling, counters and any glass surrounding the shower. How can I steam clean a sofa? To steam clean a sofa, first, remove any cushions or pillows. 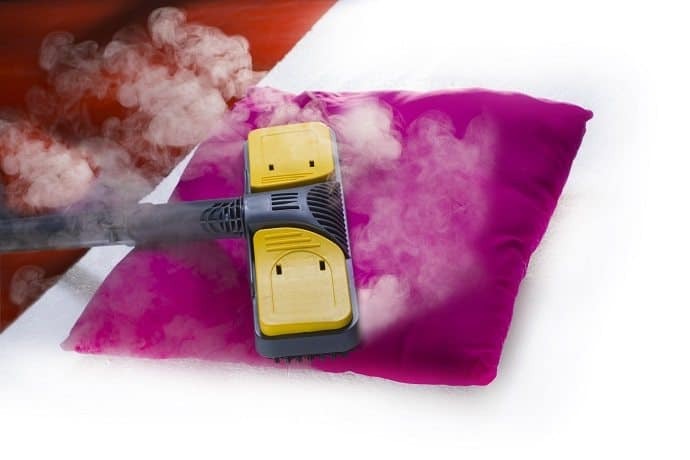 Steam clean these items separately before moving on to the body of the sofa. After you’ve covered all separated pieces, allow them to dry before reassembling. How can I steam clean a mattress? Mattresses are one of the number one hiding spots for dust mites and other gross allergens. Steam cleaning your mattress regularly can help keep your sleeping area hygienic and clean. First, it’s recommended that you vacuum your mattress to pick up any loose debris. Then, run your steam cleaner across the body of the mattress in steady, even passes, making sure to cover all area. If you wish to use a detergent or disinfectant along with your steam cleaner, be sure it’s one that’s hypoallergenic and will not cause your skin to become irritated as you sleep. How can I steam clean a window? Steam cleaners are one of the most effective and painless ways to clean glass of any kind. The vapor of the steam lifts any grease, oil, fingerprints or residue off the glass. To clean a window, simply run the wand at an even pace across the window glass, taking care to cover all areas. Ideally, you should start horizontally and work your way down. After you’ve completed the steam cleaning stage, take a microfiber cloth and wipe the window to dry it. 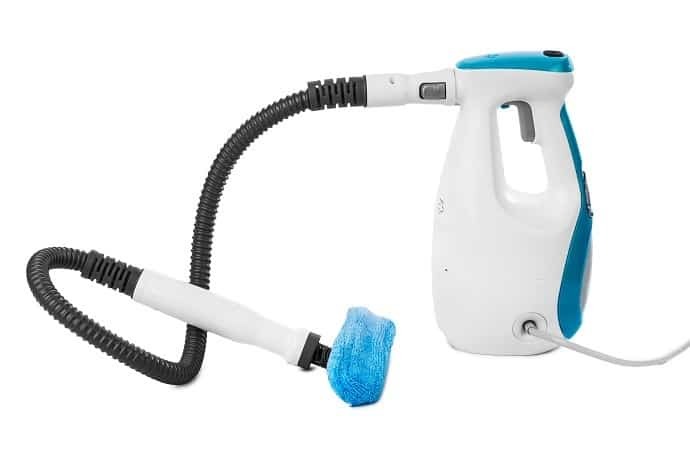 How do you descale a steam cleaner? Depending on your model type and the instructions specified in your product’s manual, you’ll probably need to fill the water tank with white vinegar and water. The amount of vinegar to water may vary from one product to the next, but a good rule of thumb is to use ⅓ of a tank of white vinegar and the other ⅔ water. In some cases, you may opt to use commercial descaling liquid instead. Remember to always use distilled water rather than tap water. Next, run the steamer for around two hours. Then, unplug the machine, allow it to cool and empty it. For optimum results, repeat the process several times. There’s almost nothing you can’t do with a steam cleaner. It tackles surfaces from hardwood to tile and everything in between (yes, even portable dance floors and other non-standard surfaces). As far as cleaning devices go, nothing is quite as powerful or nearly as versatile. Photos from: snyfer / depositphotos.com, AlexShadyuk / depositphotos.com, shotsstudio / depositphotos.com, Violin / depositphotos.com, franky242 / depositphotos.com, pxhidalgo / depositphotos.com and olesiabilkei / depositphotos.com.